Excess is a 70ft Sunreef yacht that accommodates up to 8 guests. 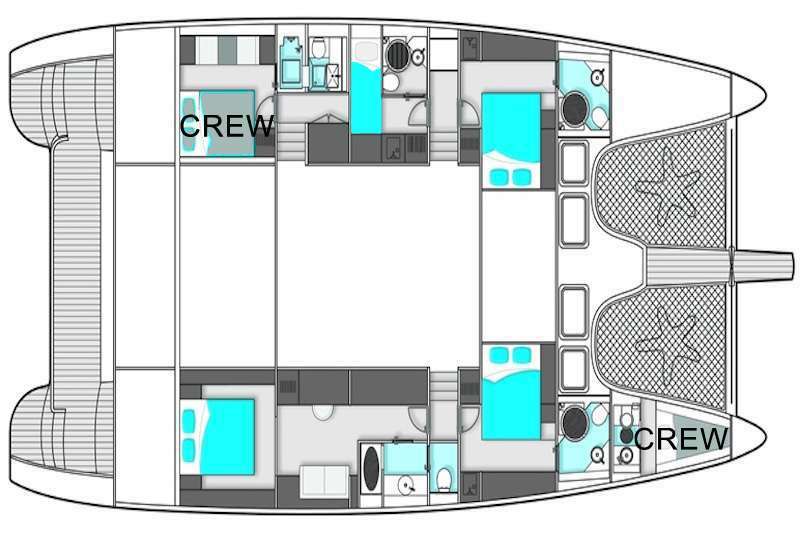 Each of the 4 spacious cabins is well appointed with ensuite bathrooms and air conditioning. This yacht is ideal for families and couples cruising the Virgin Islands. With the expansive flybridge, forward lounging trampolines, and the fantastic, covered cockpit, there are plenty of sunny and shaded areas outside for relaxation with your group or on your own. The interior is expertly designed with a focus on creating comfort and welcoming spaces aboard your home on the sea. The galley is located in the salon which creates an inviting, social living space. Lounge, relax, and dine while you enjoy the beautiful and tranquil Caribbean islands and waters. Excess uses organic and locally sourced produce when available. Michelle is known for her kind nature and positive outlook, in optimism there is magic” she often says. Contact us for rates and current availability or to book a charter aboard Excess! Chef Michelle is also an accredited Plant-Based Chef and can prepare meals to suit any dietary preference or restriction.